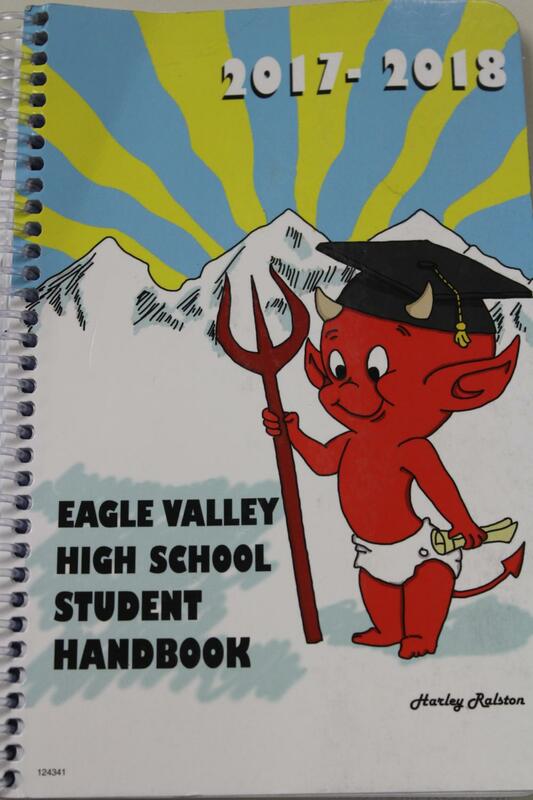 At the start of the 2017-2018 school year the Eagle Valley High School administration decided to give the Student Handbook a makeover with a new cover and a brand new Social Media Policy in response to the state cyberbullying law passed in 2015. The new social media policy was delayed in getting into the Student Handbook until this year because of “Lag time,” according to Principal Greg Doan. The Eagle Valley Administration copied and pasted the policy used for the Athletic Handbook to the Student Handbook, explained Doan. As such, the social media policy frequently addresses student athlete’s behavior, not necessarily the other students in the building. 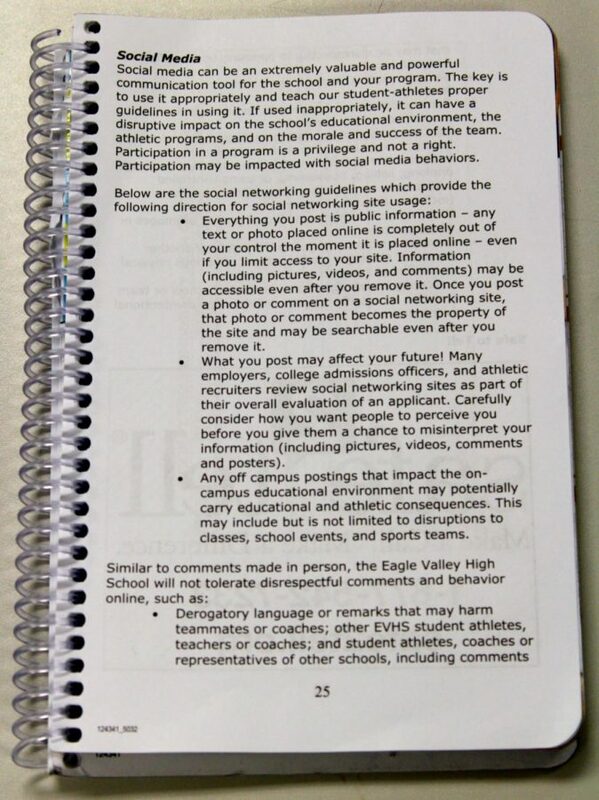 The full Social Media Policy is on pages 25 and 26 of the Student Handbook. So while the policy condemns disrespectful behavior online, it specifies consequences if the behavior targets athletes or adults involved in athletics. 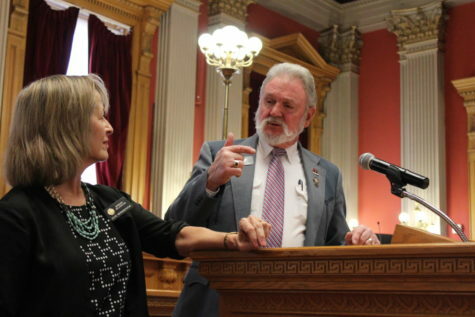 Students and student athletes lack awareness of the new policy. 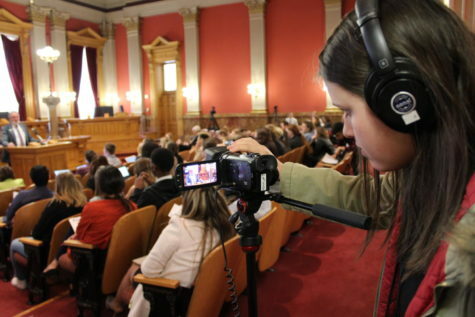 According to a survey on student awareness of the new student policies conducted by Eagle Valley Student Media’s reporter Jadin Trujillo in September, over 50% of the 137 students and student athletes surveyed expressed they did not know about the new student media policy. 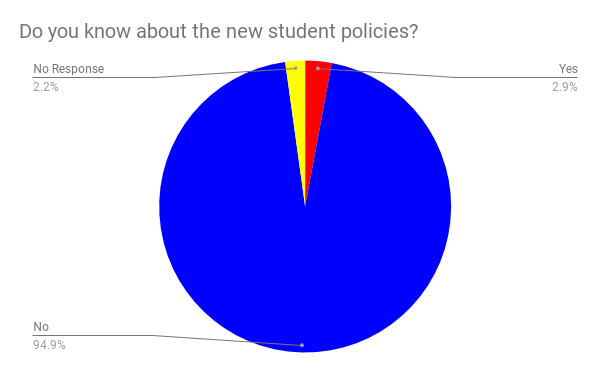 Out of 137 students surveyed, 4 students knew about the new Social Media policy, 130 did not know, and 3 did not response. 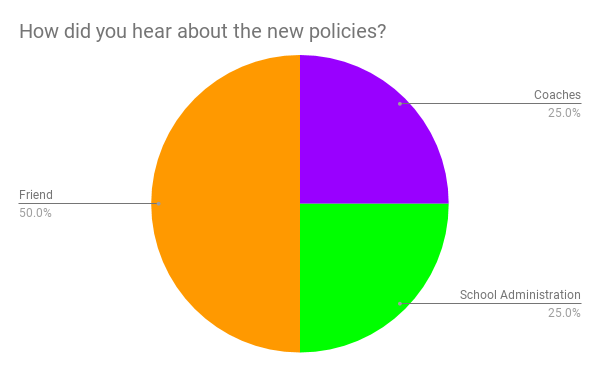 Those students who shared on the survey that they were aware of the policy said they had heard of it from a friend or family member, but no one we spoke to in person had heard of the policy to share how they heard of it. 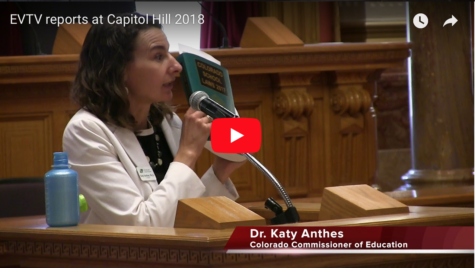 Publishing the policy in the Student Handbook alone might not be the most effective way to share this policy to inform students. 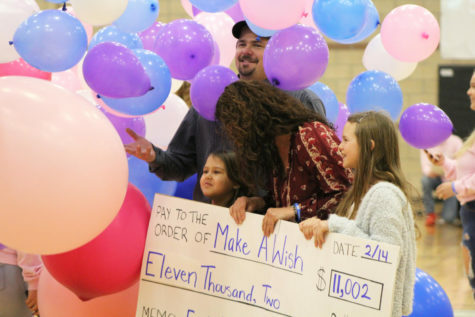 Out of the four students who responded they had heard of the new Social Media policy in the survey, two reported having heard about it from friends, one from coaches, and one from school administration. 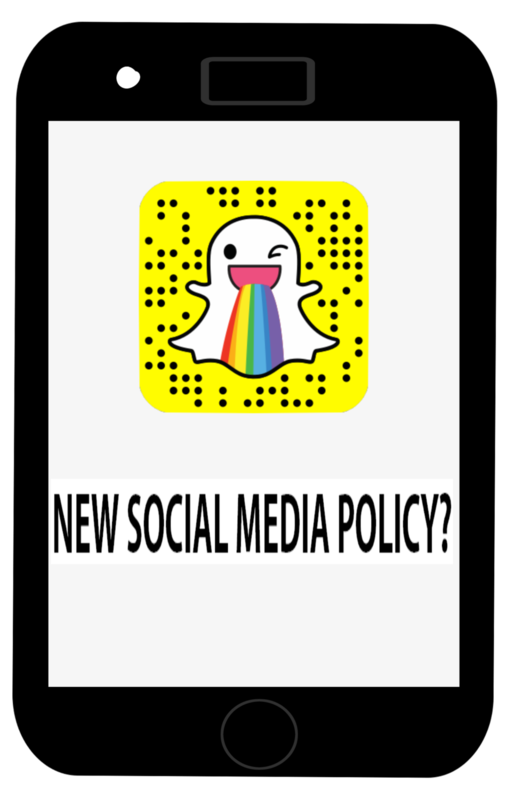 As social media continues to grow in impact, the school will have ensure that students are aware of the social media policy.